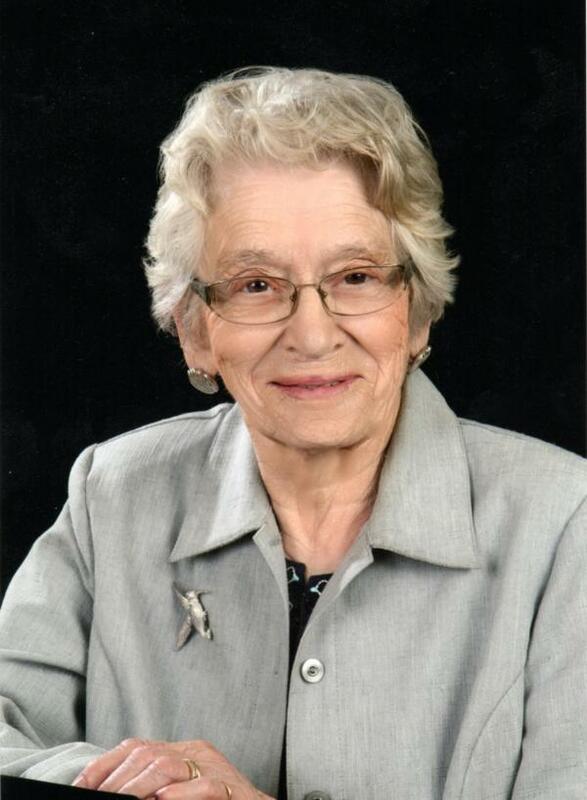 The death occurred peacefully, with family at her side, at the Beach Grove Home Charlottetown, on Wednesday December 12, 2018 of Dorothy E. Simpson formerly of Stanley Bridge aged 84 years. Born in Ebenezer September 5, 1934 daughter of the late George and Irene (MacInnis) Ford. Beloved wife of the late David Simpson. Loving mother of Cheryl, Paul, Scott (Monica), Owen (Judy) and Kirk (Charlotte Requé) Simpson; and cherished grandmother of Melissa (Josh Beaton), Ryan (Kayla Woodside) and Tyler Trowsdale; Emily and Connor Simpson; Bailey and Anna Simpson; Gregory (Kim Dunbar), Kathleen, Laura Jane and Julianna Simpson and David Simpson. Sister of Barbara Simpson-Taylor. Sister-in-law of Hazel Simpson, Marie Bell, Cindy MacKenzie and Marty MacFadyen. Also survived by numerous nieces and nephews. She was predeceased by daughter-in-law, Deanna Simpson and brother Wendell Ford, brothers-in-law Arthur Simpson, Matt Bell, Edwin Bell, Joe MacKenzie, Glen MacFadyen, Robert Simpson and Henry Bakker, sisters-in-law Freda Ford, Sylvia Bell and Ruby Bakker. Resting at the Davison Funeral Home Kensington for visitation on Thursday December 20 from 4-7 p.m. Funeral Friday December 21 in the Davison Funeral Home Chapel at 1:30 p.m. Interment in Cavendish Cemetery. If so desired contributions may be made to the Alzheimer Society or the Cavendish Cemetery Fund. www.davisonfh.com The funeral will be available to view live online the day of the service by following the link to video of the funeral on the left side of the page.